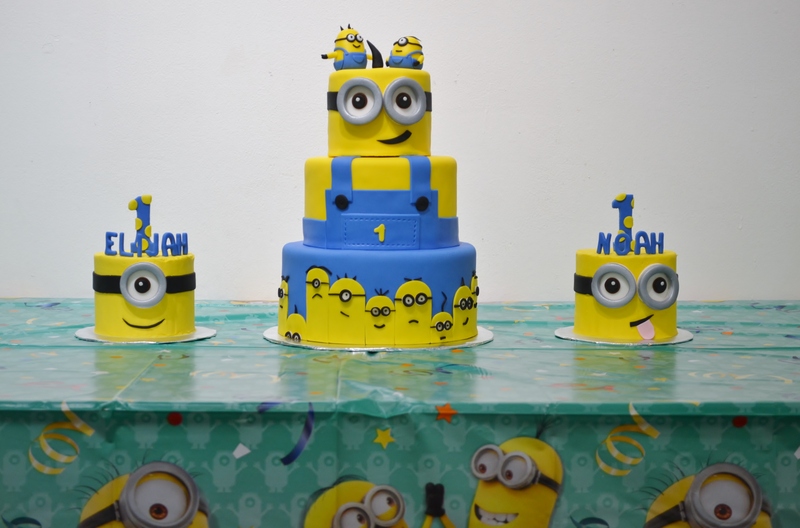 My client for this cake was throwing a minion themed birthday party for her 1-year old twin boys. 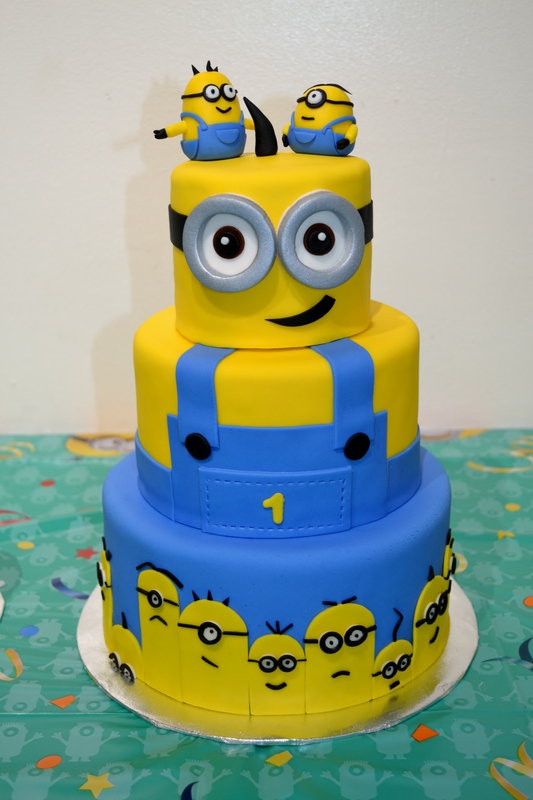 For the main cake, we decided on fondant covered to give it a bit of a more polished look, and the top was accented with little minion figurines made out of fondant. For the smash cakes, I used buttercream only as I feel that it provides a “smashier” cake for the kids! With this cake, you are easily able to customize the facial expressions to provide a truly tailored cake.